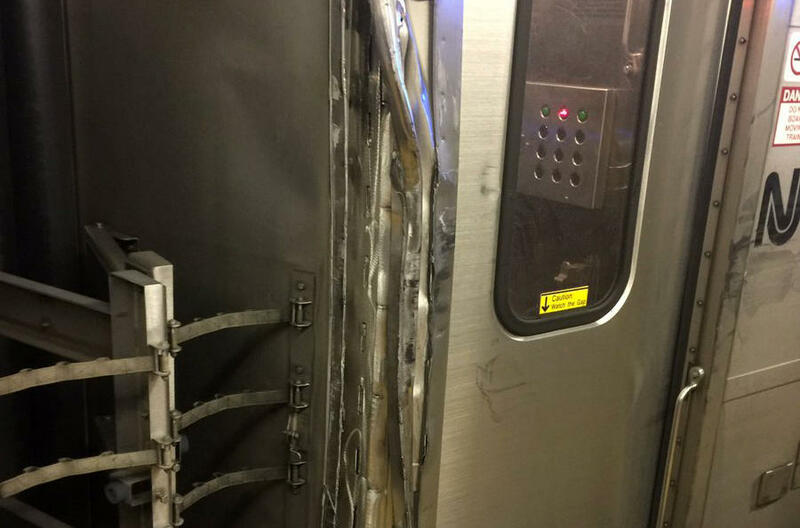 NEW YORK -- Two trains clipped each other during the morning rush at New York City’s Penn Station, authorities said. The minor collision involved an Amtrak train and a New Jersey Transit train. Photos posted on social media show dents, scrapes and some twisted metal on the side of one train. Amtrak says an Acela Express train derailed while it was departing the station at a slow speed for Washington, D.C. New Jersey Transit told CBS New York station WCBS-TV that one of its trains was coming into the station and was hit by the Amtrak train. No injuries were reported. Amtrak says all 248 passengers on its train exited onto the platform. New Jersey Transit said on Twitter that its train was able to make it to the platform, where its passengers were let off. A New Jersey Transit spokeswoman says service has been suspended into the station. Some trains were backing up the line into New Jersey. Passenger Jordan Geary posted on Twitter that the collision blew out his window, but nobody appeared to be seriously injured.